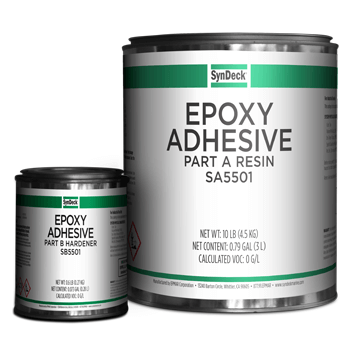 SynDeck® Epoxy Adhesive SS5501 is a marine trowelable epoxy underlayment adhesive. This two-component, 100% solids, amine-cured epoxy flooring adhesive has excellent adhesion. This product is an easy-to-apply material that is specifically designed to be applied over primed or underlayment surfaces. It works well with VCT tiles, Amtico Stratica and other vinyl tiles.